Useful against Planaria, Hydra, Scutariella, Vorticella and can also be used to deworm fish like goldfish and Guppies. 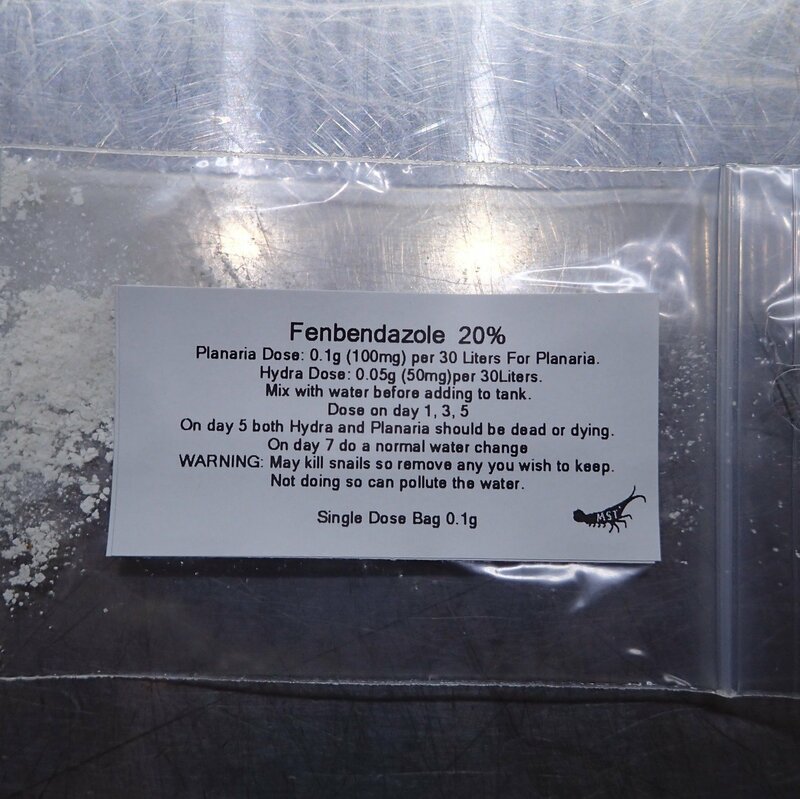 Hydra Dose: 0.05g (50mg)per 30Liters. Mix with luke warm water before adding to tank. On day 5 both Hydra and Planaria should be dead or dying. On day 7 do a normal water change, you can also use activated carbon to remove any medication. May float on surface for a day before being dissolved which is normal. WARNING: May kill snails so remove any you wish to keep. Not doing so can pollute the water.